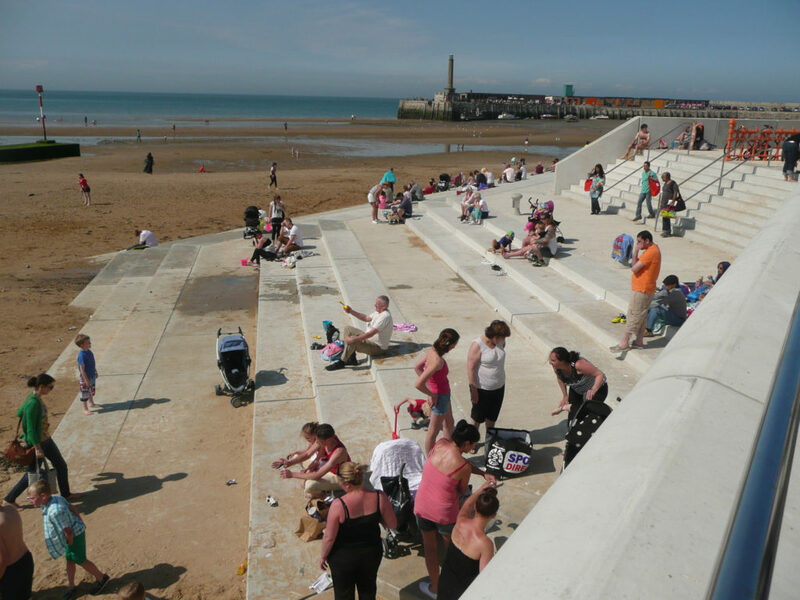 The last decade has seen Margate’s cultural landscape flourish with the dual success of Turner Contemporary and a resurgent Dreamland to book-end the seafront panorama. Successful regeneration by Thanet Council has also brought significant and tangible changes to the Old Town. 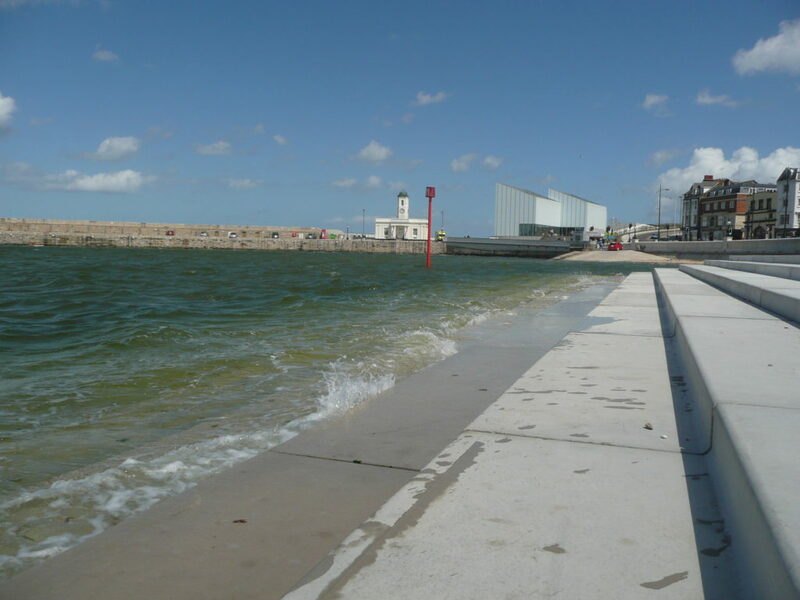 One of the most significant outcomes delivered by the Council without fanfare or drama however, has been the Margate Flood & Coastal Protection Scheme – also known more fondly as Margate Steps. A scheme funded by the Environment Agency to the tune of £6million pounds and brought in on time and under budget …and somewhat under the radar. This example of coastal civil engineering encompassed not only the Steps, but the Harbour Arm and Sea Wall along Marine Drive. This elegant and functional concrete stepped revetment structure has also brought a much needed and highly activated public realm and pedestrian space to the Town. Throughout its history, a major catalyst for change and development in Margate had been the destructive force of storms and storm surges. 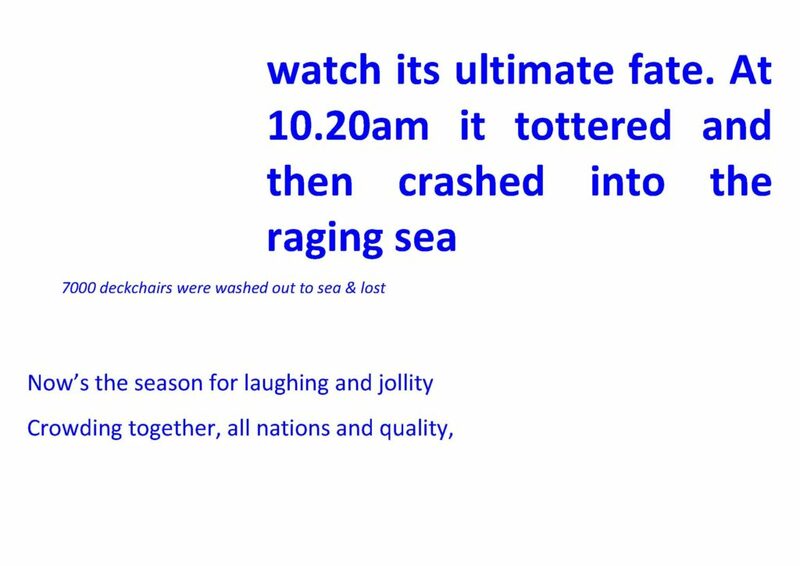 These pages are taken from the Contextual Research Document, which I delivered in collaboration with the project team. 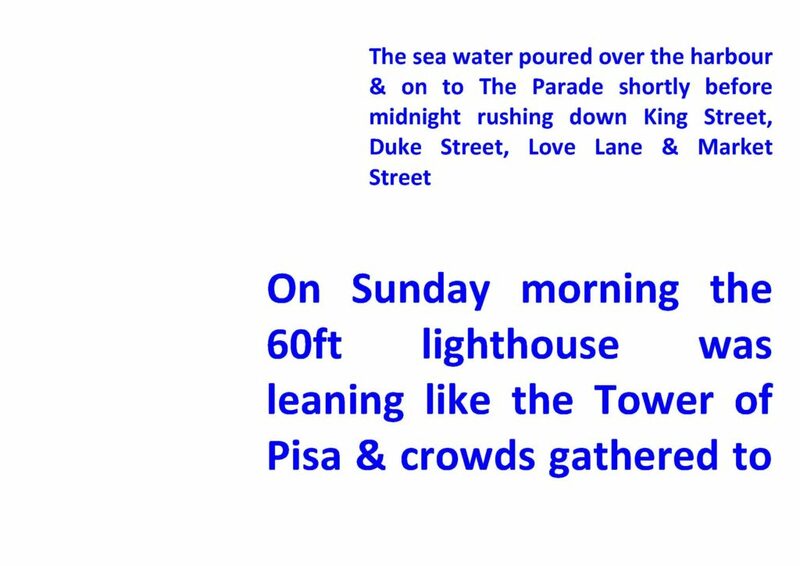 I was commissioned as project artist on the scheme by Thanet District Council & the Environment Agency in December 2010. My role was to uncover and present interpretive & contextual information & develop concepts with which to influence the design process & inform the structure & detailing of this major sea defence works. The work has now been completed and the project officially opened in May 2013. 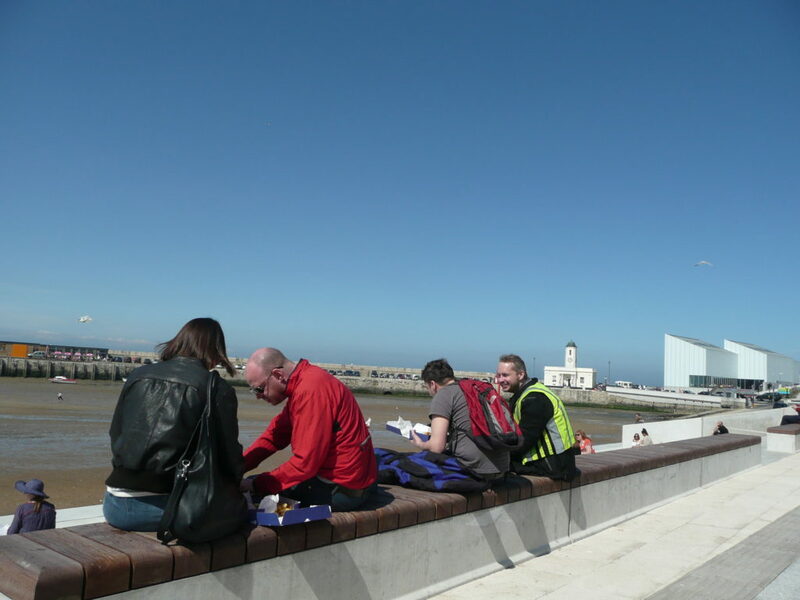 Client: TDC & Margate Renewal Partnership. Engineers: East Kent Engineering Practice. Landscape Architects and Urban Designers: Jacobs. Contractor: Breheney. Specialist Concrete Pre Cast: CCP Cornish Concrete Products. 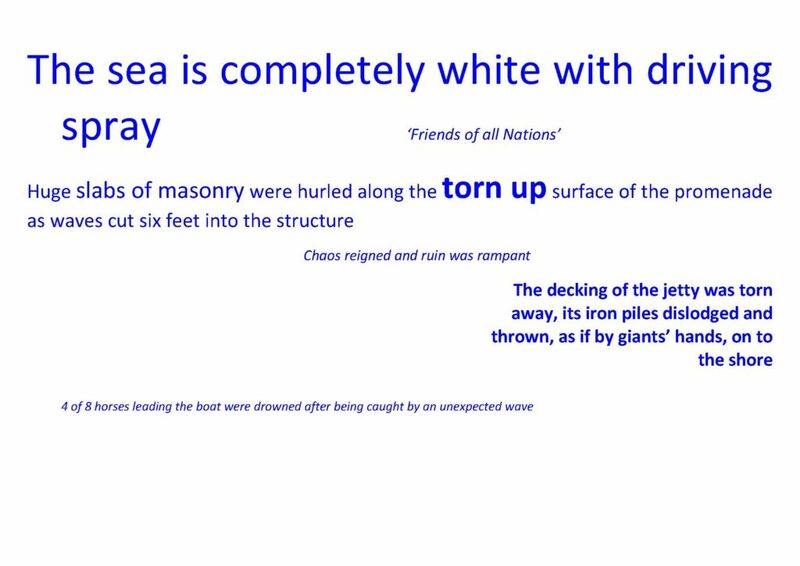 Being part of an integrated design team from an early point was critical in enabling the contextual work, via a contribution to the detailed DESIGN & ACCESS STATEMENT , to influence the physical form of the structure, within its constraints as a sea defence work. 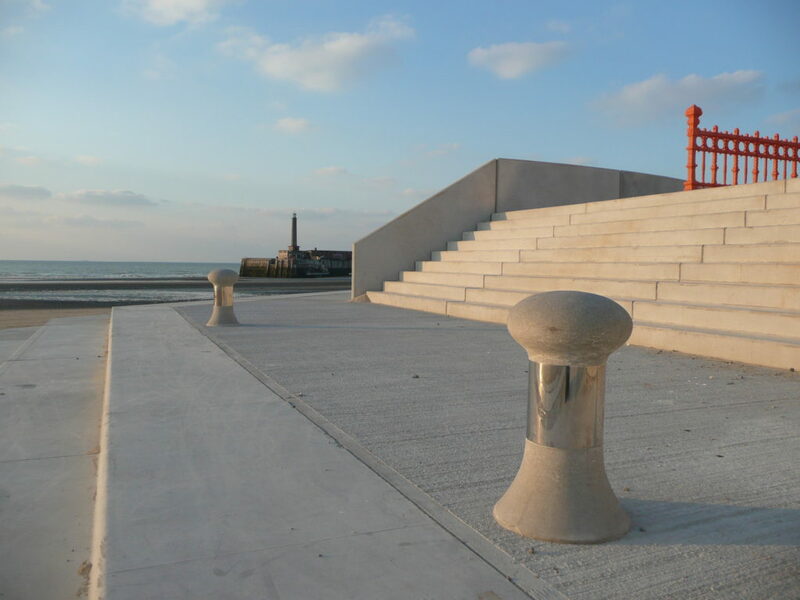 The public realm and amenity space which the project afforded Margate’s sea front has been a tremendous addition to an enlivened and highly activated sea front promenade which has Turner Contemporary and the Harbour Arm at one end & Margate Station & Dreamland at the other.